Has 59 recipes, 9 public recipes. Has 355 flavors in inventory. Description: I'm the creator of All The Flavors. I'm not the best mixer in this bunch, but when I do come up with a flavor I like, I'll share it! Interests: I like working with savory vapes heavy in corn and coffee and tobacco. My ADV is usually something cereal or strawberry theese days, though. Queuetue supports All The Flavors. Upgrade yourself. 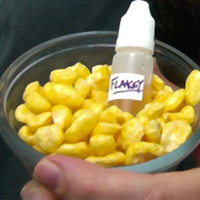 Delicious corny goodness - flakes or pops, you decide. 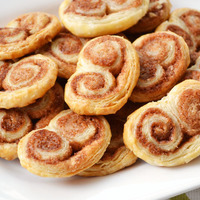 This is the flavor of the Canadian pastry known as Elephant Ears - or Palmiers. Sweet, biscuity and a touch of cardamom. A Thai themed dessert - saffron, lemongrass and coconut in a corn pudding base. For my wife, whose birthday is St Patricks day. Definitely the most realistic Fruity Pebbles I've ever mixed. My ADV for about a week after I mixed this. The perfect vape for a hot summer day. A great blend of sour and fruit. I think Skiddz just created this to fill out his line with a popular standard, but this is probably the best take on strawberry milk I've ever tried. This is a regular for me, often getting mixed up with other fruits. If I'm looking for a strawberry milk, it's either this one or SkiddlzNinja's Cliché. This is a solid all-around strawberry vape, but the almond highlights make it something special. This one is worth breaking out the FW Yellow cake for. This is a very accurate flavor. I've had grapples a few times, and this simple recipe is perfect emulation of that "real apple, fake grape" flavor. I'm torn on the flavor itself - I'm actually not a big fan of grapples, but it's exactly what I expected when I mixed it, and it did not disappoint. Delicious, didn't stop until a full 60 was gone. Making a 120 so i can see what it's like after it ages a few weeks. 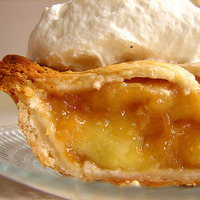 This recipe got me interested in custards again. Tastes like a second 60ml. Great sugar cookie. Congrats on the win. Great vape on it's own, but also fantastic with a cup of coffee or a bowl of popcorn. Balls on apple butter.